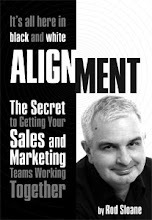 Sales and Marketing Alignment Blog from Rod Sloane: Reach Out....I'll Be There! It’s a beautiful day in London, the sort of day (as Ken Dodd would say) that makes you want to go up to clients and prospects and say do you want some of what I have? Accept, Ken said it in a more end-of-the-pier style! Are you reaching out to your entire constituency or just the few who know you already? Are you targeting your message beyond just your customers? Your marketing purpose should be to spread your ideas, you need to tell people about them. Remember the theme tune of all marketers. Go play it on Spotify! Spend More Time with the Queen! New is good in marketing unless…. Does my business look crap in this website? Get to the Point, Quickly or else….